What happens when you take a beautiful city, with plentiful natural resources, a large business sector, and a thriving arts and music scene, and put far left liberals in charge for a few decades? Whether by intent or incompetence, the city decays into a wasteland of homelessness, drug addiction, and crime, most of which goes unpunished and only serves to perpetuate and grow the problem. 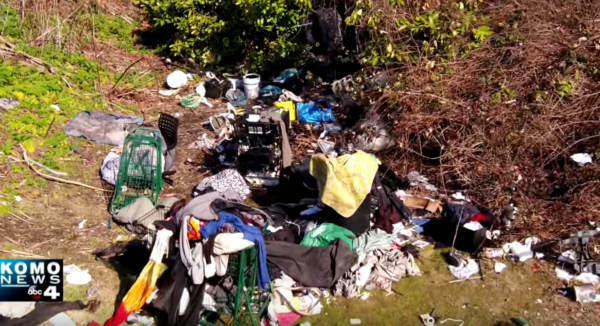 A new docu-report by KOMO news’s Eric Johnson sheds light on this epidemic, which is not only costing human lives, but also killing the city. As homeless heroin junkies line the streets downtown and set up camp under every overpass or abandoned lot, the city “leaders” promote safe injection sites and order the police to look the other way. District attorneys rarely pursue cases that involve theft, robbery, and drug dealing. Businesses are left to bear the burden of the costs as people are free to steal from their shelves with impunity. Tourists look on in disgust. One of the more egregious cases is the story of Louis Arbee, who had beaten and raped a 71 year old woman at an assisted living home. Arbee had previously done 19 years in a California prison on charges of kidnapping, robbery, and carjacking. Just two days before he beat and raped the elderly woman, he had been arrested for dealing meth right outside the King County courthouse. He was booked and released on recognizance. Police officers are afraid to speak out about what they are ordered to do and not do. KOMO sent out anonymous questionnaires to protect the officers’ identities. The responses they received chronicle how city leaders, district attorneys, and higher ups in the police department actively play cover for the chaos on the streets. One former Sergeant from Seattle police says he up and quit because he couldn’t stand what was happening. Businesses are being robbed on a daily basis. Denise Moriguchi, CEO of Uwajimaya international grocery story, says her Seattle-based store called police 599 over a 19 month period to report theft and other crimes taking place in the store. Of those 599 cases, only 8 were ever prosecuted. Moriguchi says this only emboldens the criminals to continue their ways. Whereas many homeless advocates cite mental health issues as a primary cause for homelessness, Johnson and his investigative team reveal that it’s mostly a drug problem. One homeless camper says she doesn’t know of anyone on the streets who doesn’t have a drug problem. Several images of people openly shooting heroin in the streets are seen. Prosecutors no longer pursue cases of drug possession where the person has less than 3 grams of heroin. But the film/report isn’t all doom and gloom. There are proven solutions. Johnson traveled to Providence, Rhode Island, to take a look at a program there that helps recovering junkies get clean. It has a 93% success rate. No such program exists around Seattle. In fact, a large former jail could be converted into a recovery center, where people could get help, get job training, and other resources to reintegrate them back into a normal life. That facility sits abandoned. Many in the film point to a time about 5 years ago when the problem really started to balloon. By no coincidence, that’s around the time avowed Socialist Alternative party luminary Kshama Sawant was elected to the city council, and the city began taking hard turns even further left. In fact, even the labor unions are turning against Sawant, as the film shows a part where construction workers crash one of her press conferences. Seattle hasn’t a Republican mayor since James d’Orma Braman resigned in 1969 to take a job in the Nixon administration. No one can be this incompetent. Once you remove the impossible, only the possible remains. This is the result of far left liberal policy. At the heart of every modern day liberal democrat is a marxist waiting to get out. Every marxist revolution in history has taken advantage of a societal break down in order to seize power. Elected “leaders” like Sawant know that in order to impose marxism, they must collapse society. 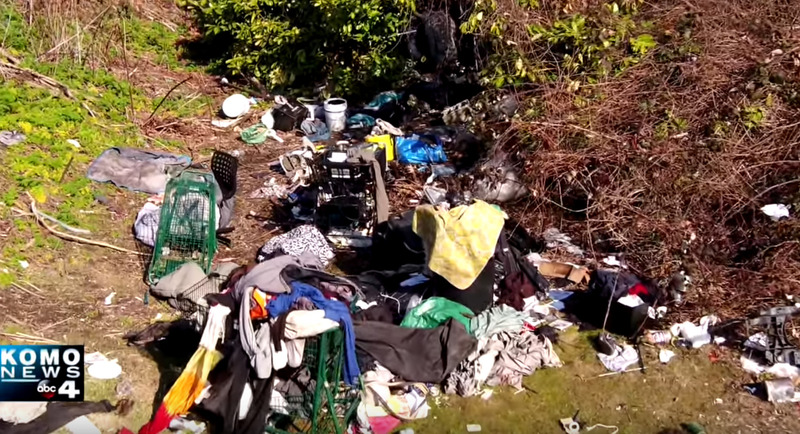 The post MUST WATCH: “Seattle Is Dying” Documentary Examines Homeless and Drug Epidemic Thanks to Insane Liberal Policies appeared first on The Gateway Pundit.